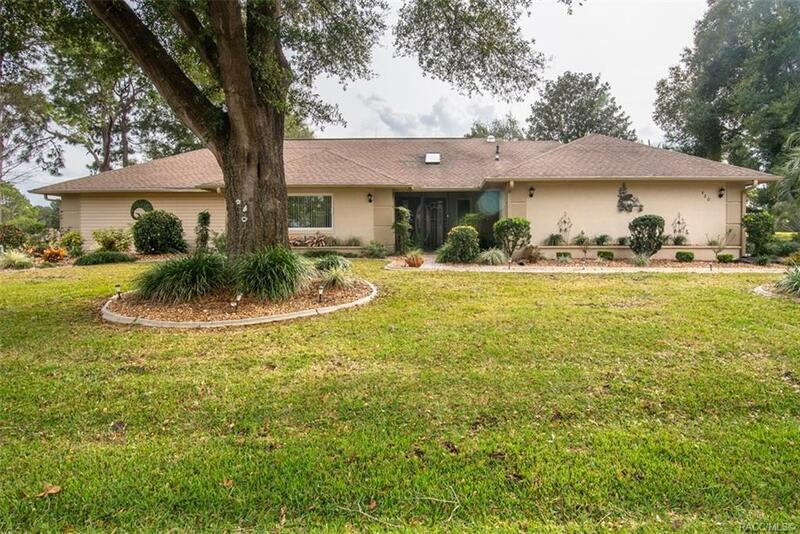 CITRUS HILLS GOLF COURSE HOME 3 BEDROOM, 2 BATH, 2 CAR GARAGE WITH POOL This extremely maintained home with all Citrus Hills Golf and Country Club membership privileges is a "MUST SEE" at a GREAT VALUE! Spaciously designed with living room and family room, open kitchen w/breakfast bar, large owner's suite with walk in shower and split plan with private guest rooms. Recently updated with newer HVAC system and stainless kitchen appliances. Complete home gas generator and a well for irrigation. Private setting with meticulously landscaped grounds.Enjoy the expansive view of The Meadows golf course and pavered screen-in lanai with beautiful pool area. This home is situated on a picturesque half acre homesite in the heart of this highly desirable community with awesome amenities including restaurants, tiki bar, golfcourses, swimming pools, health & fitness center, spa and so much more for a perfect lifestyle! Directions: Hwy 486 To Citrus Hills Blvd, South To Dakota Ct.